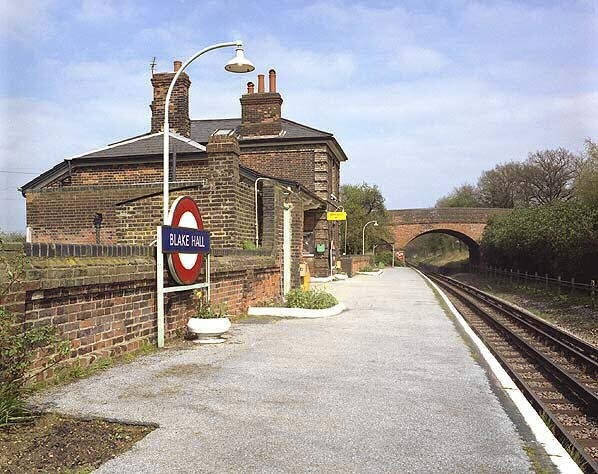 Blake Hall station was opened by the Great Eastern Railway on 1 April 1865 and closed on 2 November 1981. Blake Hall Station in April 1981. 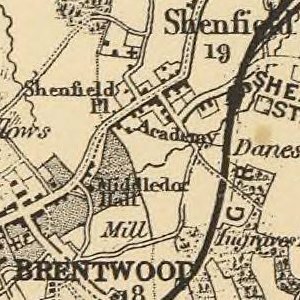 Steam locomotives operated by British Railways for the Underground ran a shuttle service from Epping to Ongar, stopping at Blake Hall, from 1949 until 1957, when the line was electrified and taken over by the Underground’s Central line. On 18 April 1966 the goods yard was closed and Blake Hall became a dedicated passenger station. On 17 October 1966, Sunday services were withdrawn. Blake Hall became reputed as the least-used station on the entire Underground network. Fare subsidies provided on the rest of the system were not provided on this part of the line because local government agencies for Essex and London failed to agree on their respective public transport responsibilities, and Blake Hall station was located a considerable distance from any substantial settlement. By the time services were permanently discontinued on 31 October 1981, the station was reported to have only 17 passengers per day. The station was permanently closed down on 2 November 1981. The Epping to Ongar branch line was closed 13 years later, on 30 September 1994. Blake Hall’s station building has since been converted into a private home.